If you are going to build a corporate medical website this premium WordPress theme Medshing will super fit your desire once you have a look at it. Wooden background adds a feeling of comfort, endeers visitors of your site and keeps them longer on the pages. 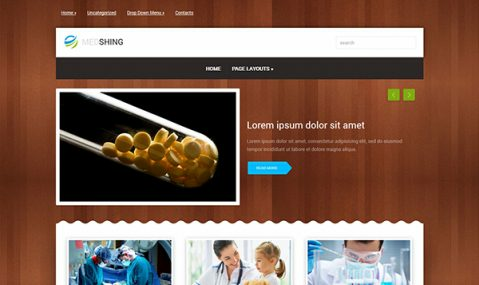 Medshing medical WordPress theme includes two multi-level menus, custom page layouts from blog to e-shop and many advanced widgets. This is a full set to create a professional website without programming and code digging. Download the Medshing theme for free or get a full version of it today.